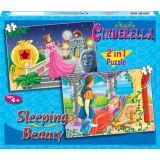 Attractive and colorful puzzle based on a fairy tale and children's story, with more pieces which will keep the children engrossed and provide them with endless amount of fun and learning experience. 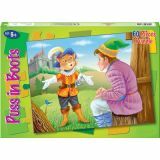 The child places the pictures in a logical order and understands the process of cause, action and result with the help of this beautifully illustrated puzzle. 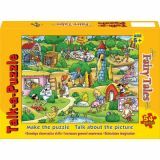 Set contains two beautifully illustrated puzzles depicting scenes from well-known children's stories and fairy tales which will provide the children with learning experience and unlimited fun. 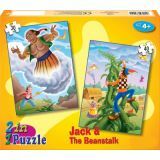 30 & 40 piece puzzles. 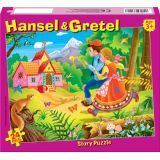 Beautifully illustrated puzzles based on fairy tales and children's stories. 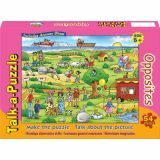 These puzzles help to enhance hand and eye coordination, and provide children with an endless amount of fun and learning experience. 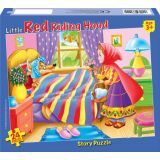 A colorfully illustrated puzzle, which develops the ability of the child to differentiate between the different sizes of the objects. missing in one of the cards of each pair. 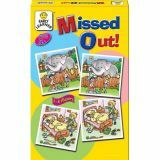 10 self correcting 3-piece puzzles. Make the puzzle, talk about the picture. Develops observation skills. Increases awareness. Stimulates imagination. 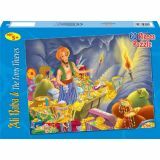 54 piece puzzles. 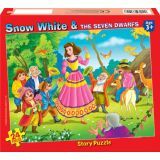 Characters from popular fairy tales are colorfully combined in one scene to stir up the child's imagination. Make the puzzle, talk about the picture. Develops observation skills. Increases awareness. Stimulates imagination. 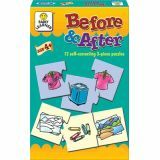 54 piece puzzles. The child has to identify the opposites, depicted beautifully in the picture.